It was a shorter working week for me (god I love my two-day working weeks) and I managed to cram a heap of stuff into the last seven days. Thankfully – given I call myself a book blogger – I did manage to do some reading and blogging as well! I started the week with Beyond the Orchard by Anna Romer. It’s not due out until November but I’m participating in a blog tour and needed to formulate some questions for Anna. I loved it and read it in a sitting. After a night or so off I read The Better Son by Australian author Katherine Johnson, before embarking on Anthony Horowitz’s Magpie Murders. I wrote about the fact I seem to have become a morning person since my move. It’s weird, but I’m waking early. Every day. Indeed, it’s Sunday here and I was out walking on the beach before 6am. It’s really quite shocking. On the house front I also pondered the notion of ‘feature walls’ and asked what people thought. I think the vote came out as a resounding no. I shared some tips from a session I went to at the Problogger Conference about content creation and writing a ‘better’ blog. 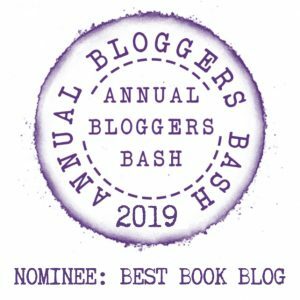 And finally I shared some ideas I have to improve my blogging and book reviewing and would love it if you could pop over and share your thoughts. I attended my first Italian class, which was okay. There are only four of us there as this facility is just setting up its adult education classes. It means we get a little too much attention from our teacher but I’m hoping to hang in there. And I spent yesterday at the Bundaberg WriteFest. 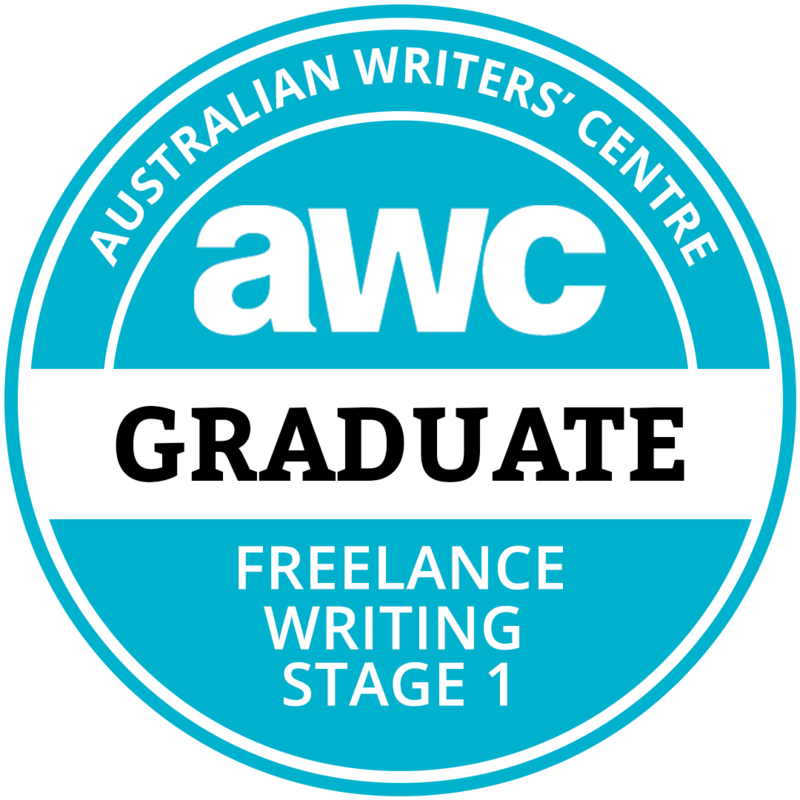 I’ll share more on that in a separate post this week but I essentially attended two great workshops – one on getting published and writing commercial fiction; and the other on developing a book’s ‘setting’ – re time and place. (Interestingly that’s exactly what my questions to Anna Romer – mentioned earlier – were about!). I’ve got some work travel this week, but just a day trip from memory. Reading-wise, two of the books I’ve got are due to be published so I need to start there. 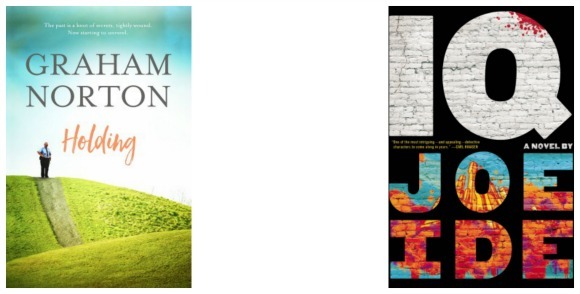 Firstly there’s Graham Norton’s Holding; and then IQ by Joe Ide. I’m not sure what will come after that… but time will tell. And I’m planning to spend the day listening to some Problogger Event sessions on affiliate marketing and the like before my week ‘proper’ starts. But enough about me… what’s on your agenda? Sounds like you had a great week that writers thing would have been interesting to attend and I can’t wait to see your post. Magpie Murders looks good! Gotta love those short weeks. Ducking over now to catch up on your pro blogger posts. Have a great week. I know… although the long gap between working days is sometimes problematic. It’s Wednesday and I’m saying I can’t do anything until the next Tuesday. Fortunately I can monitor my emails via my phone and respond etc if I need to. 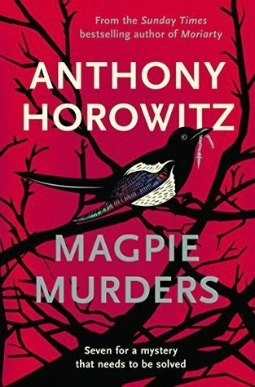 Magpie Murders was a surprise Greg – and quite different – will review it in the next day or two! 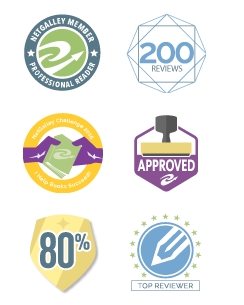 I’m jealous of all the reading you got in! Go you! Three books a week seems to be my average though I’m a binge-reader and often read a book in a night. Then have a break the next night to catch up on reviewing or cos of other commitments. Magpie Murders looks fantastic! School has been out here all week and my husband took the week of work so we could go on vacation and I’m so disoriented I have no idea what day it is! I can imagine the 2 day weeks would be wonderful. I’m so not a morning person but I definitely get up earlier than I did when I was younger. Pre-6AM will most likely never be something I see willingly though. Have a great week! I love those weeks when you’re confused about the days… And yes, some of my waking times have been a bit too early. It’s late morning Sunday now and I had a nanna nap at 9am! Ah yes… I suspect it will be popular Michelle! I liked your post about feature walls….and love the cover on your copy of Small Great Things. Mine was a boring cover…lol. Love the cover on Beyond the Orchard. The hair color is awesome. Thanks for sharing your week…and for visiting my blog. The cover of Beyond the Orchard is very pretty Laurel. I liked the cover of Romer’s last book as well. I wonder if she has any say as she’s also an artist. Oh yikes I’d hate too much attention from the tutor for Italian! But I guess you’ll learn. Very impressed with the early morning walks on the beach, we seem to have swapped habits because suddenly I am not walking. I am attracted to the Romer book even just by the cover too. I enjoyed this book by Romer more than her last Lyrebird Hill, which was quite popular here Kathryn. Wow Debbie you have been busy. My problem is that I am both a morning person and a night owl, which means like a toddler I require an afternoon nap..lol Have a wonderful week! I think when you’re retired you can have the freedom to do that. When I started my part-time job I realised my sleeping habits needed an overhaul! The only way I’d be walking the beach before 6am is if I were still up from the night before. I just looked at your post on feature walls because I had no idea what that was, and all the comments have made me feel so unsavvy, haha. Like, I didn’t even know that was ever in, and now it’s already out? I never know anything about what’s actually in or popular, I just dress and decorate and do whatever I want lol. So I say if you want a feature wall, go for it. I think it actually sounds pretty! Am hoping the Italian class improves a little Kristen. I shouldn’t expect too much from it as the instructor isn’t a qualified teacher or anything. We spent about 30mins of the 90mins last week talking about types of coffee and I don’t drink coffee! A couple of the people are hoping to pay a visit soon so their requirements are quite different to mine I guess. Interestingly when I worked (and until recently) I was a night owl. I tried to get to sleep at / by midnight or so but failed. I think when I first moved I was having too many early evenings but am now trying to get to bed at 10 or so which gives me enough sleep. Have a wonderful week ahead and happy reading. I hope you’ll share more from your Italian class! I’m wondering if the early mornings will last Lexxie. I don’t mind if they do though would prefer not to be awake at 5am each day! I love going down to the beach early in the morning. It’s definitely the best way to start the day. And that cool about the Italian class. Seems like being in such a small class could be beneficial. I hope the class works out Christy and yes… being at the beach that early was great. The only other people around were some people walking their dogs and I chatted for a while to one lady. She’s there every morning she said. It sounds like a very good week for you. Walking on the beach before 6am? Wow.. Although I can’t imagine I would be up that early without setting an alarm.. It sounds kinda nice. 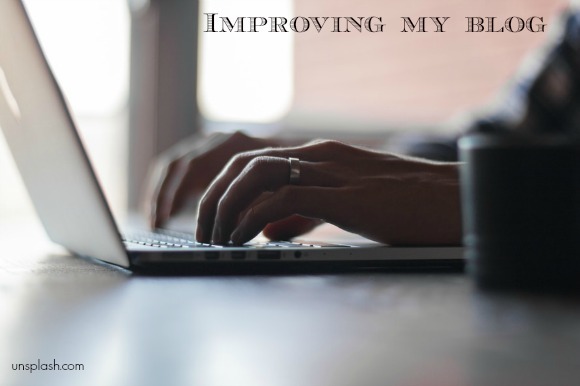 I’m going to check out your ‘Improving my blog’ post. Ha! I’m hoping I’m not awake before 5am too often. I actually had a mid morning nap as a result. (Also as I was up and on the road by 6.30am the previous day to go to the writing thing!) It would be nice to settle into a pattern of early morning walks though. We all like two day workweeks, I think. Where did we ever get the idea that we all need to be working forty-plus hours a week in order to have a life? I wish the president and Queen would make a rule against that for us. Ah yes… I made the call several years ago to cut back to part-time. It may mean I don’t get to go on holidays or travel overseas etc… but as long as I can pay my bills (and I have a mortgage again now, so there’s that!). I sometimes have to remind myself often how fortunate I am to only work a 5 day fortnight. Sounds like you have been very busy and I am really curious about your the Problogging event. I am going to check out more of your posts and have a great day. Awake early again today (Monday) and I’m not working. I’ve decided against a walk as I’m telling myself I’ll do something more energetic at the gym later instead! That 2 day work week certainly sounds great! And wow! I’m a morning person too but I can’t start my morning before 7 lol! That’s awesome though that you get to go on beach walks. I’m going to check out that tips post of yours! What a busy week and some great sounding posts I will need to catch up on. I’m especially interested in the pro blogger tips. I hope the posts I’ve shared have been of some use Emma. I need to knuckle down and listen to some of the sessions and get some action happening though! OMG I actually like feature walls! XD I’m glad you had a really productive week! The beach looks gorgeous and you’ve gotten to read some amazing books! I can’t wait to see your thoughts on Beyond the Orchard! I know, I’m a fan of feature walls too – though I gather wallpaper etc is more of a thing than the painted versions at the moment! Tee hee… if only Kelly! And yes re Graham Norton. I gather he’s published some non-fiction already, but am intrigued by this. I like his show and he does the gay sarcastic / droll thing very well so I love his sense of humour. Of course I’m sure his show is very scripted and I’ve never seen him do stand up or live or anything. I WISH I could become a morning person. If only I woke up early and got things done early. I know from past experience it is the best time to do so. The Better Son sounds like it’ll be emotional! I read The Better Son last week Adriana and it was one of those traumatic reads! And yes, courses where you aren’t tested / have exams are SO much more comfortable! What a busy week you’ve had! I’ll have to go catch up on your posts. I wish I was a morning person, but I’m not. I’m a brunch person. But I am referred for a sleep study and may be getting a sleep machine, so that might change the whole game! Good luck with your Italian class. That must be marvelous only having four students! I’ve always been a brunch person as well I have to admit, though recently I find I’m hungry earlier. Previously I was never really hungry first thing. I’d eat breakfast because I know I should, but if I started at my computer I’d often not stop for a couple of hours until I felt hungry! The Problogger event looks like they had good information. I always get worried thinking too hard about my blog. I start to question things and then what the hell do I think I am doing with my blog. Best not to ask those questions. I enjoy what I do. It looks like you had a busy week. I haven’t read any reviews of Small Great Things so I’m gonna hop over there and check out your review. Have a great week (you morning person you)! Tee hee… I know, it’s quite shocking this morning person business. And yes… I’m the same Karen – it always seems a bit too hard to make necessary changes to my blog. I say I’m ‘gonna’ do it, but never do. Yay! Another morning person. I love them too. The blog tour book read sounds interesting. Such an exciting thing to be a part of. I don’t mind blog tours but rarely participate because we usually have to lock ourselves in months in advance. It’s a nice thing to do for writers / authors, but sometimes a challenge to come up with questions or activities different from other bloggers doing the tour. Oh I love the beach before the world gets to it!! It is a perk of being up early. Good luck in the Italian class!! Have a great week! Thanks Grace and yes it is nice to be up and out there before the world joins in! If you have to wake up early, the beach is a great place to take a walk! I try to get my walk in early otherwise it won’t get accomplished. Looking forward to your thoughts on IQ. So far I’m liking the characters in IQ, but the plot was a bit slow to take off. Am almost half-way through though Nise. Oh yes I saw a pic of the girls on Instagram in their school uniforms. They look so tiny and cute. I was supposed to do some work on my blog over the weekend Di but unfortunately – though I got some posts done – didn’t get any of the improvements done. Perhaps next weekend! I think I would love to be in such a small Italian class. I’d learn faster since the teacher can pay attention to correct me if I do something wrong. I have to admit I feel a bit exposed at the Italian class Gen. And it’s a little… hmmm… not sure. The teacher says something and then gets each of us to say it and corrects us. I don’t like that much attention! Well done on Blog Ahead! I’m just staying afloat and little else. It’s lovely isn’t it Donna? What fabulous books and reading this week Deb. I am so glad to hear you enjoyed Anna Romer’s new book and read it in a sitting. I adore her work, Thornwood House is one I loved so much. I cannot wait until it is released, looking forward to your review. The Better Son also catches my eye, it has received a few positive reviews. I would love to read it at some point too. I read and enjoyed your review of Small Great Things. I think my feelings echo your thoughts. My review is going up tomorrow. 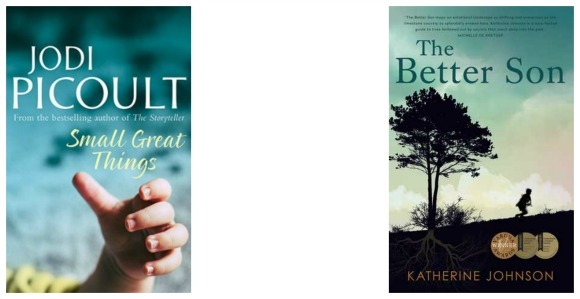 The Better Son was beautifully set Amanda – I knew nothing about caves of Tasmania and the like, so that was all quite surprising. 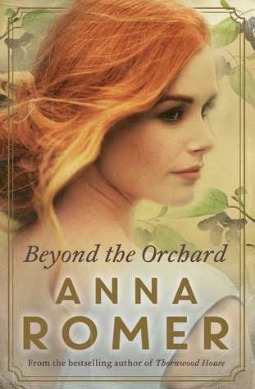 I loved Anna Romer’s previous two novels and Beyond the Orchard is next on my reading list. Enjoy the rest of your week and the early mornings! I hope you enjoy Beyond the Orchard when it comes out Yvonne – just a couple of weeks to wait. I remember feeling that way about a music class once – the class was so small that there was really no where to hide, and when I made a mistake, the instructor was ready to pounce. In theory the small class sounds great – personalised attention! – but a class certainly can be too small…!!! Yes, this is a bit like that Jane… the instructor gets us to repeat something after her and even though I know what I want to say I sometimes find myself mis-pronouncing something when my turn comes. 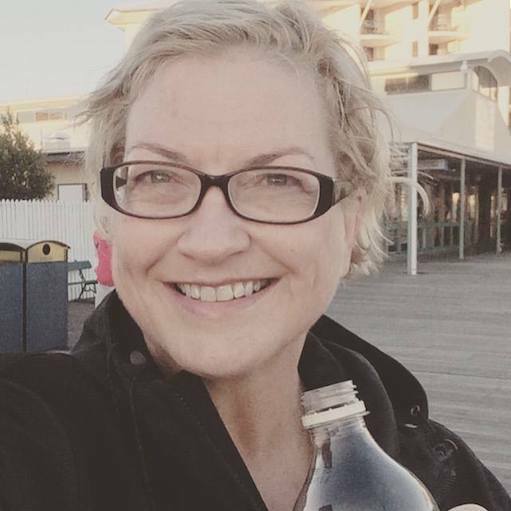 I’m getting more blogging done Carol – with my early morning rises – which is good. It means I’m getting 60-90mins of stuff done at my desk before heading into work. So much going on in your life! I love it. You are achieving more dawn walks than I am too. I am just not getting out there much at all at the moment. Too much travel I think. I need to fix that. I’m also appreciating getting more work done in the morning too Leanne. Normally I’m stressing about the lack of time I spend at ‘my’ desk at home – particularly on working days when I’m in my other job, but this way I’ve got a heap of stuff done before my ‘other’ working day starts!